View the NETL Multiphase Flow Science Program Publications Database. 2) include MFIX in their abstract/title/keyword. Documents that describe later development in MFIX may be found in the documentation page and the development page (member’s area). If your paper is not listed below, please send us the citation details to admin@mfix.netl.doe.gov. 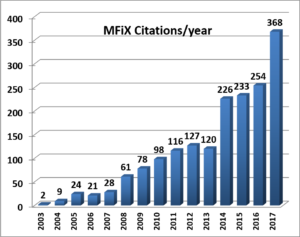 View the MFiX Publications & Citations Database.